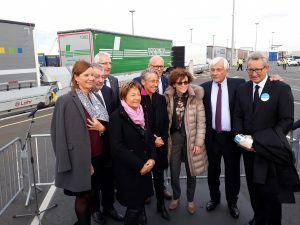 Inaugurated on Tuesday 6 November by the SNCF Mobilités Chairman and CEO in the presence of the French Transport Minister, this new piggyback rail line between France and Italy reflects the Government’s intentions to revive this mode of transport. 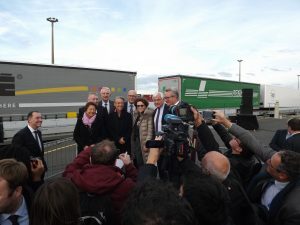 This is good news for both the freight sector and the environment. 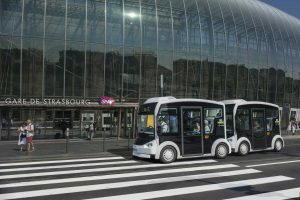 Testing of a 100% electric public transport vehicle will begin in Strasbourg in December. 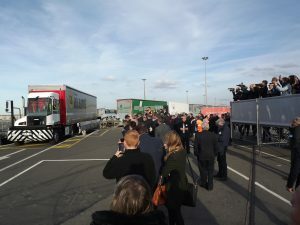 The vehicle was presented to the press in the afternoon of Tuesday 27 November. 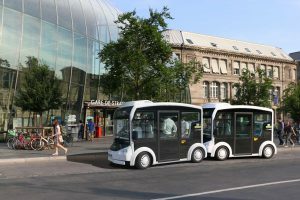 Cristal, Lohr’s electric vehicle, will be test run on Line 10 of Strasbourg’s public transport network (CTS) from 3 to 21 December. It will supplement the existing service, running two cars coupled together, each carrying up to 16 passengers. Users will be able to travel onboard the vehicle with a standard ticket or travel pass. 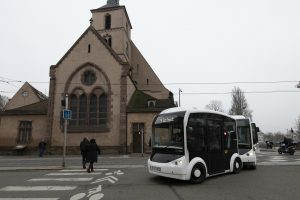 Handling city traffic, crossroads and roundabouts is the objective set by the manufacturer Lohr and its partner, the transport operator Transdev, for the new i-Cristal autonomous shuttle. 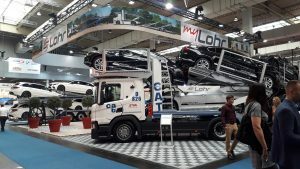 This vehicle, showcased at the InnoTrans trade fair, will shortly be tested in Paris-Saclay. 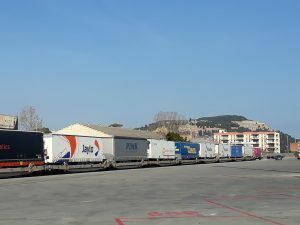 Is rail freight back on track? A French manufacturer takes up the challenge! 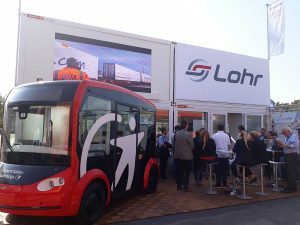 While the Government prepares its umpteenth plan to revive rail freight, whose modal share has halved since 1990, the Lohr Group has spent several years developing a unique piggyback solution in France: the Lohr Railway System. Its added bonus? 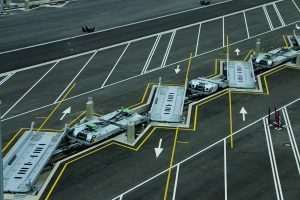 The specially designed horizontal loading of standard semi-trailers.